If you think about it, EA hasn't really cracked into the open world gaming genre very much. I can't really think of a truly open world game from EA during this latest console generation, and looking back only The Saboteur really comes to mind as an effort in the genre. That's going to change. Soon. EA hired Jade Raymond, a Producer for the Assassin's Creed franchise at Ubisoft, and has set to creating a studio in Montreal for her to make an open world game. Speaking at the UBS Global Technology Conference, EA CFO Blake Jorgensen made the development decision pretty apparent. 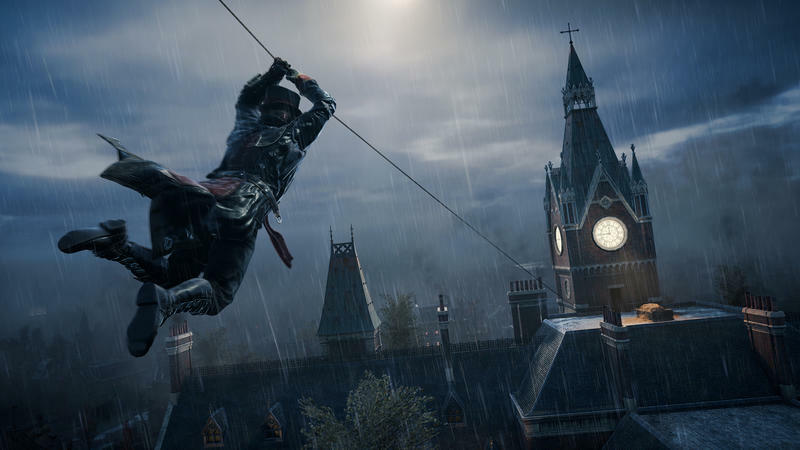 …That's the Assassin's Creed-style games; more open-world, more single-play versus multiplayer. It's not been an area that we've operated in. We recently hired Jade Raymond, who was behind the Assassin's Creed franchise for Ubisoft and she will be building an action genre for us through a studio we're building out in Montreal right now. So a lot of excitement around the action genre." What are they making? Will it be a new IP or an old one with a new twist? It's hard to say. Raymond's Motive Studios is supposedly working on a new Star Wars game and a new IP, but if that's the "Assassin's Creed-style" game remains to be seen. What do you think? Do you want an open world action title from EA if it's helmed by Jade Raymond?